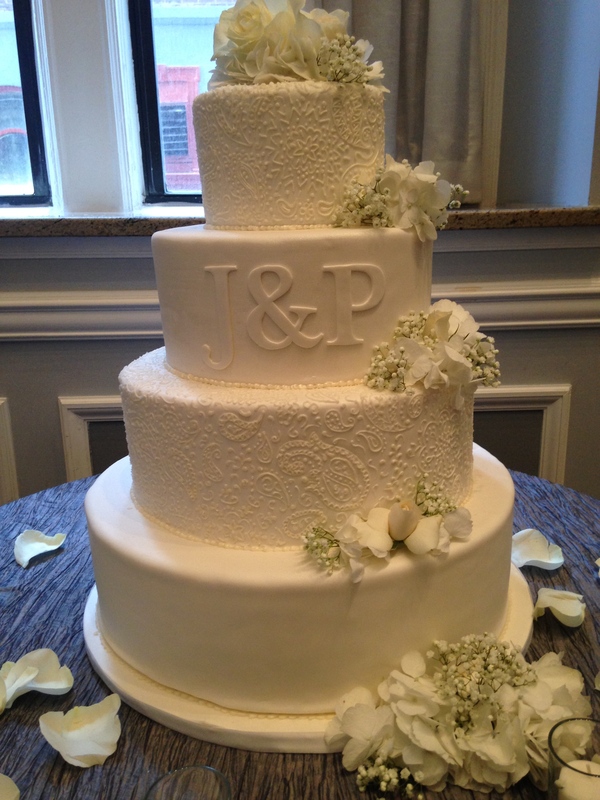 A lovely cake for a wedding at the Arts Ballroom Philadelphia. It is a lovely venue! 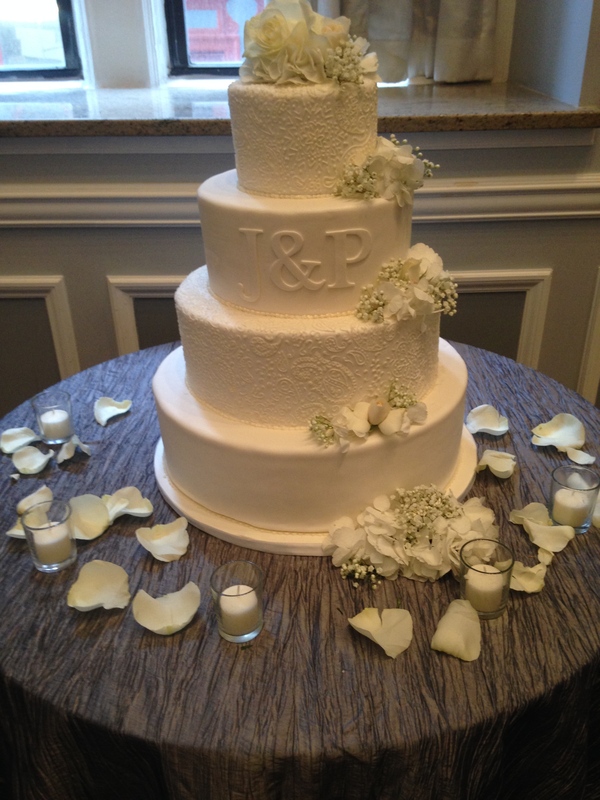 The monogram was designed by the groom for a personal touch! 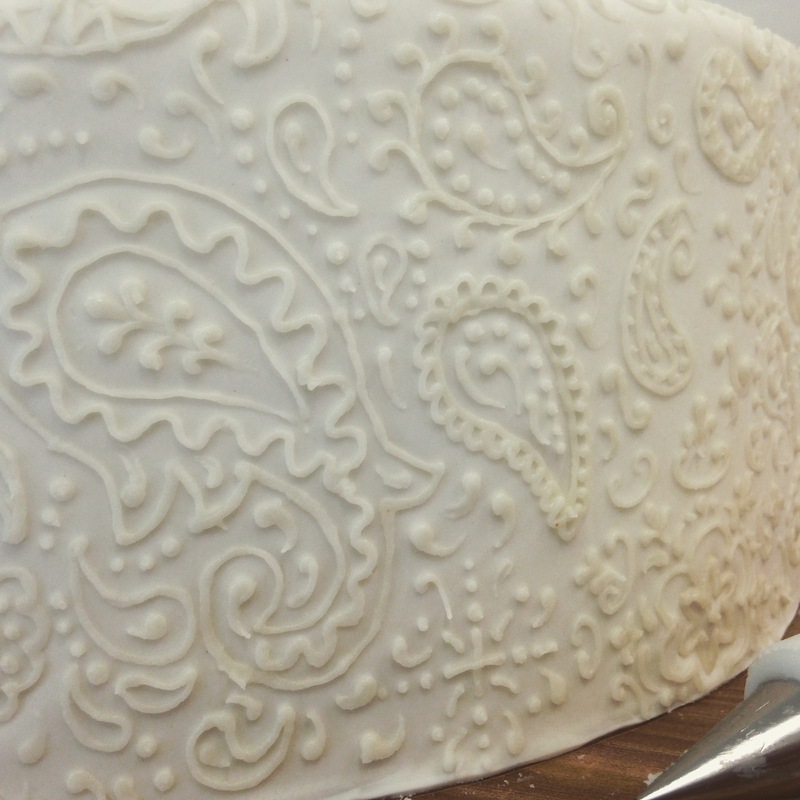 There were two simple layers and two layers that were entirely hand piped with a paisley pattern.